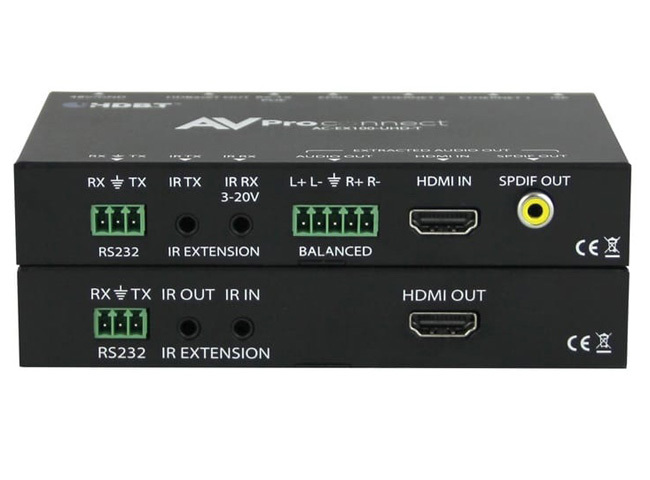 AVPro Edge AC-EX100-UHD-KIT-P 100M HDBaseT Extender is a 100m, 330ft. 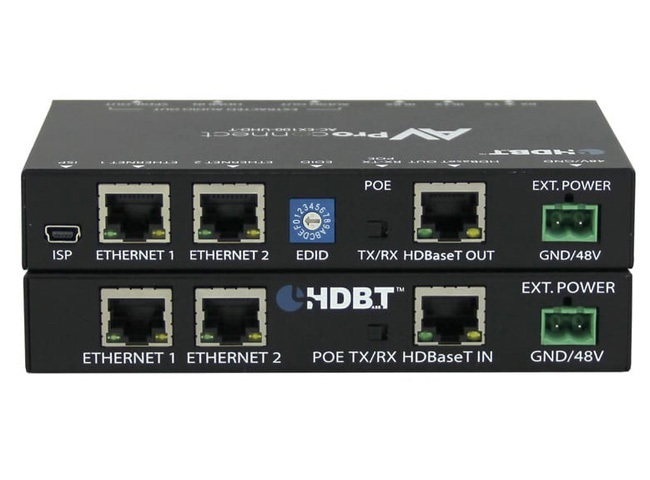 up to 4k HDBaseT Tx/Rx with Bi-Directional Power, RS-232, IR, Ethernet, Audio Extraction and EDID Management. 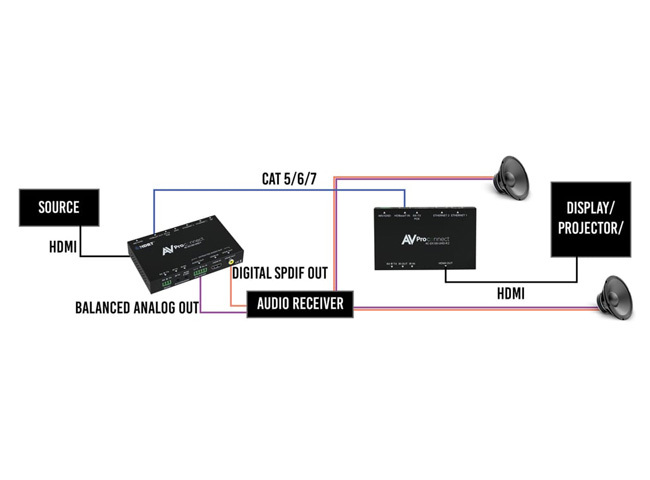 It features advanced functions such as Bi-directional power (requires only one power supply either to power the receiver from the transmitter or the transmitter from the receiver) and Ethernet Hub, Audio Extraction and EDID Management which affords control over the active source. EDID MANAGEMENT: P Control the source device with EDID management. With the multitude of sources out there, this feature allows you to fix a known good EDID so the source device knows what to output every time. CONTROL: P IR & RS-232 are bidirectional and can control the sources from the sinks or vice versa. This allows unlimited flexibility when controlling sinks, and sources. Control the rack or source and the display or sink over the same single wire. BI DIRECTIONAL POWER: P Ultra stable bi directional PoE allows you to really be flexible as you can choose where you want to power. Eliminate power supplies at the rack and power the Tx remotely from the display (Rx) end. AUDIO EXTRACTION: P The Tx on the pair had audio outputs for PCM audio - You have balanced 2-channel and SPDIF outputs to run audio directly into a local AVR or even more common, use the 2-channel audio to go into a distributed audio amplifier/matrix. 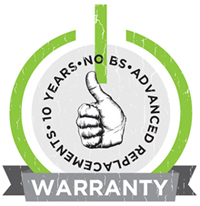 Why not buy this AVPro Edge AC-EX100-UHD-KIT-P 100M HDBaseT Extender today?